The vessel ADELAIDE EXPRESS entering Tilbury Docks. Any info RWJ? 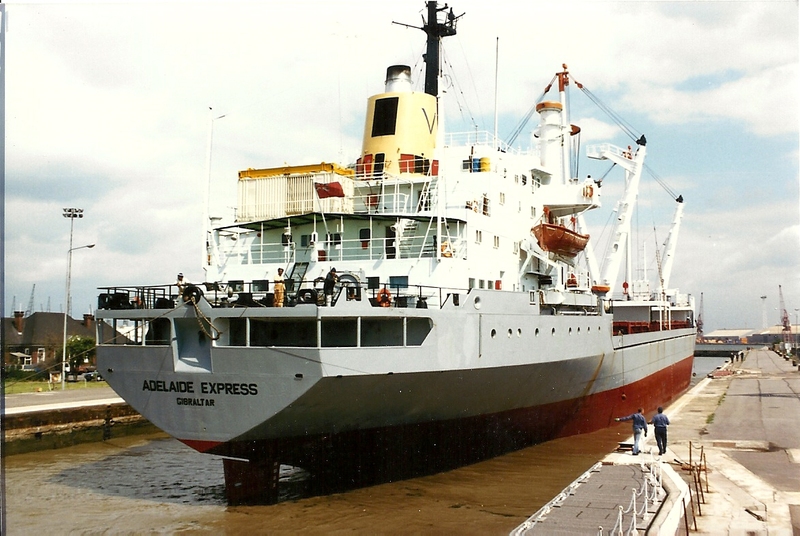 I was on this ship in 1980 (name of the ship was “Rheingold”) as an engineer assistent for nearly 8 months. 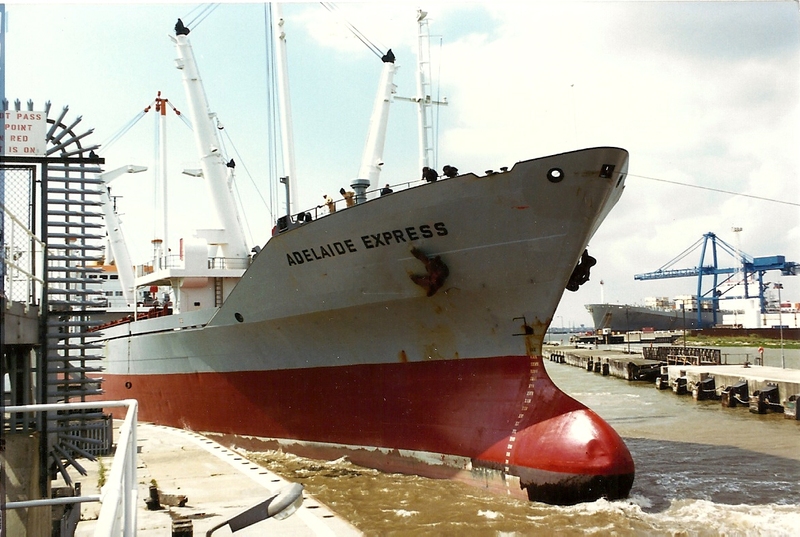 The part container ship ADELAIDE EXPRESS was built at Lubeck, Germany, in 1972 for German owners with the name RHEINGOLD. 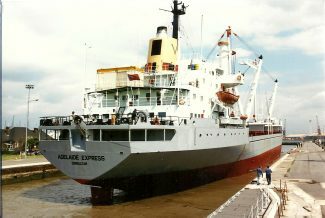 By the 1980s it had changed hands a couple of times and during 1985-90 was owned by Medship Ltd of Gibraltar with the name ADELAIDE EXPRESS. Medship was owned by the Vlasov Group (note V on funnel) of Monaco, a multinational shipping concern with interests also in the UK. 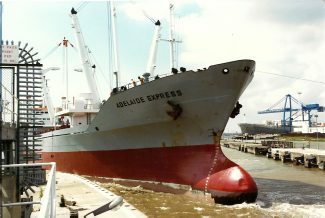 ADELAIDE EXPRESS was broken up at Chittagong, Bangladesh, in 2008.